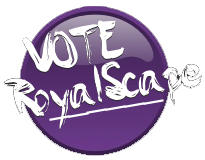 Please vote at royalvote.tk to bring in more players! You can download the client by clicking the "Download" tab in the navigation bar. RoyalScape is owned by Kevin, so all donations should be given to him. SERVER STATUS CHECKER IS AT THE BOTTOM OF THE PAGE. I'm quite amazed I was able to remember my password to this forums; along with the fact that the forums are still up and running. Now if only I could edit the site some how.